Installs on STR-3100 Series Snowmobile and ATV Lifts. Each caster has locking brake. 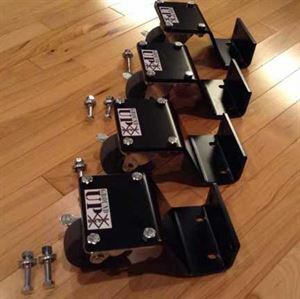 Heavy duty plates come standard in black powder coat.